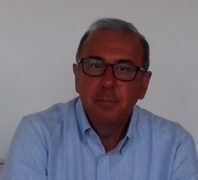 Alberto Suri Panaioli attended at the regular course of the Italian Naval Academy 1982-86, master degree at University of Trieste 1989 in Naval Architecture and Mechanical Engineering. Served as seagoing Engineer/Chief Engineer on board several types of naval vessels, among others minehunter, logistic support ship, aircraft carrier and survey vessel. Lecturer at the Italian Naval Academy. Resigned with the rank of Lieutenant Commander and joined Lloyd’s Register of Shipping (LR) in 1997. Since then have been dealing with class and statutory surveys of existing ships and mega yacht new constructions, inspection of materials equipment and components, works approval, type approvals, ISM audits, ISPS audits, ISO 9001/OHSAS 18001 audits of shipping companies and ships, MLC inspections and plans appraisal, inspection of reefers to Code Quality 360. Furthermore currently LR Flag Representative (Marine and Offshore) and Trainer. Past in-house QA auditor.